Hey ! First, you must know that I’m a french student of 17 years old, so excuse me for my inaccurate english. So, last year the main theme of our class photo was ‘Cinema’. 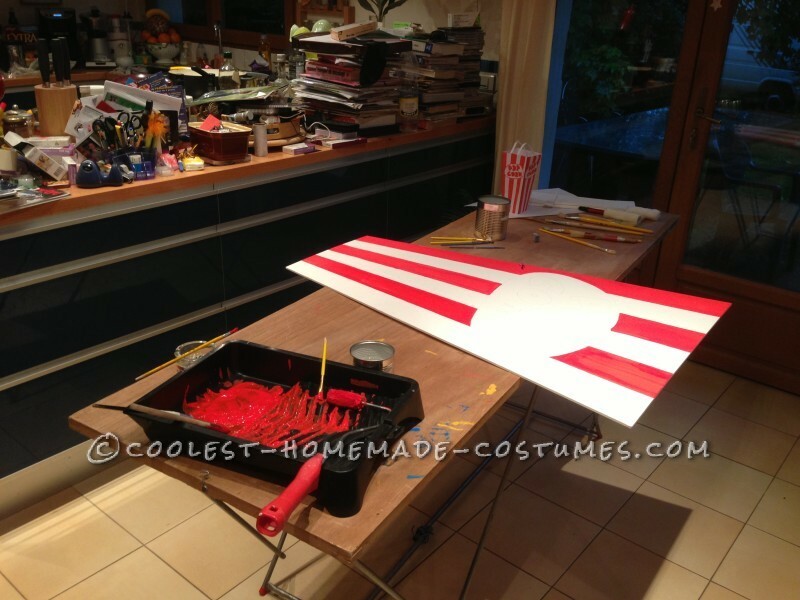 At first, I hesitated between making a costume of Hulk or Wolverine, but I wasn’t so sure about how I would make these costumes. 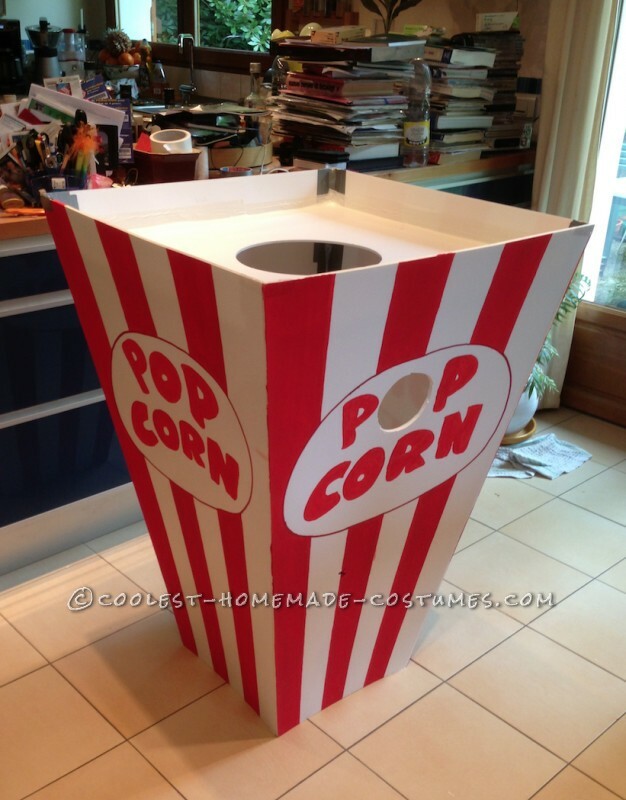 By searching ‘cinema’ on Google Images, I saw different cinemas, cameras, etc, and… a little pot of pop-corn ! I thought it was such a good idea of costume : it was original, funny, and, to me, more feasible than Hulk. 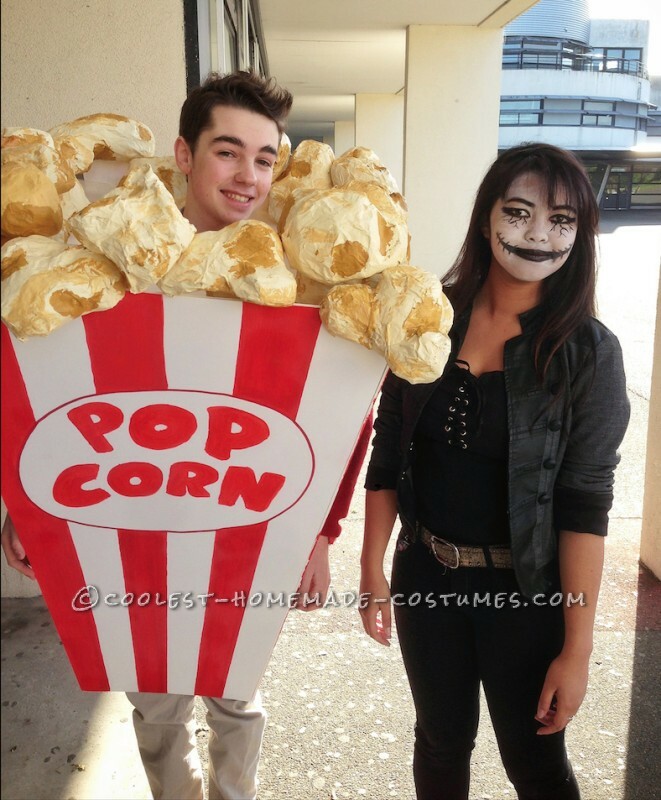 I found the idea to make a Pop-Corn costume on sunday, 4 days before the class photo (it was on thursday). I hope you\’ll like it and tell me what you think of my costume ! 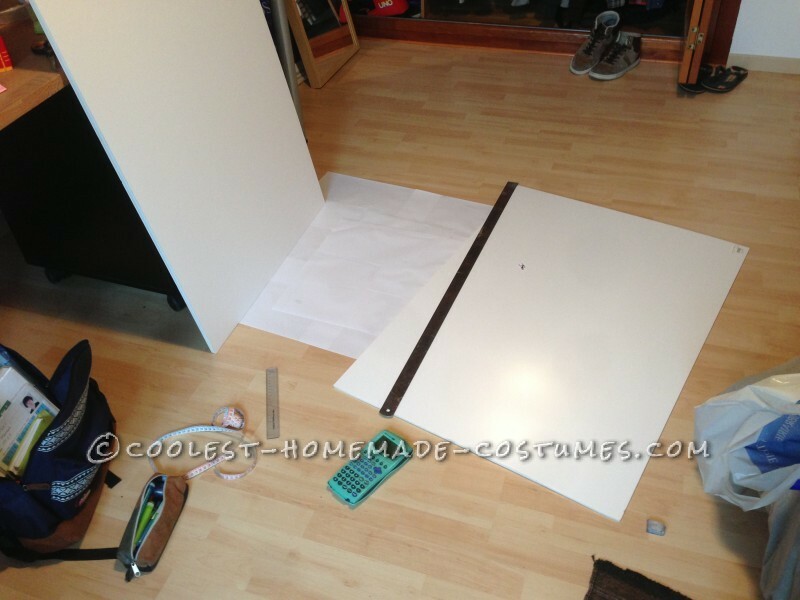 Using simple sheet, I create a model in reduced size. I consider the body location, the typography of ‘pop corn’, where the arms should go out, I’ve measured the width of the doors of my high school, etc. After buying with my lovely mum what I need, i.e. 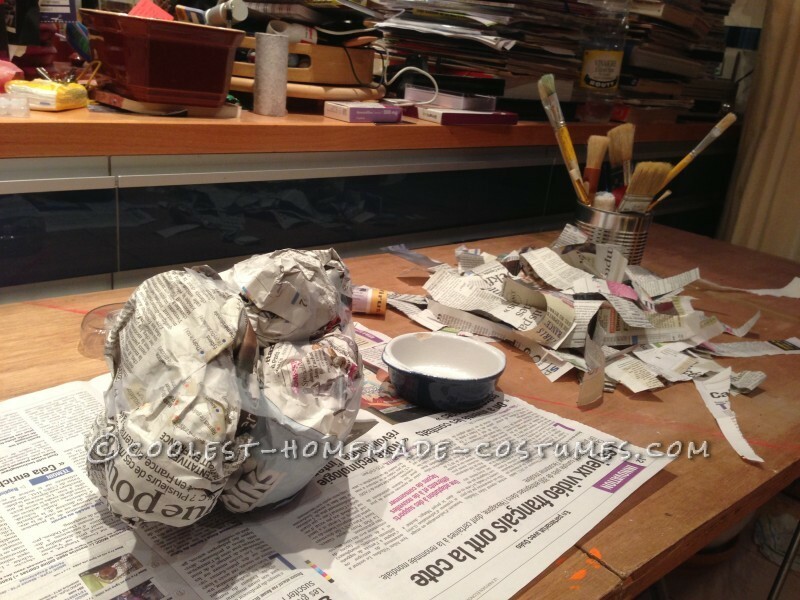 5 plates of lightweight cardboard + painting, I make the pot. 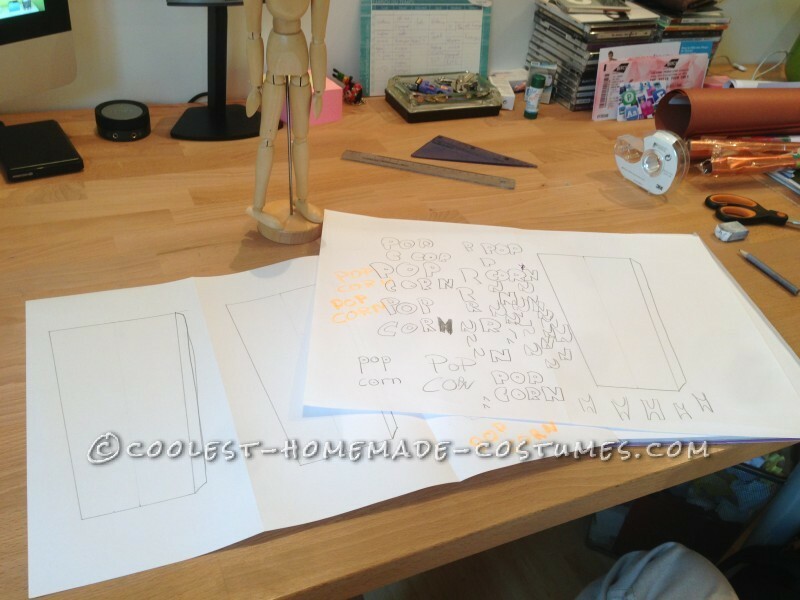 I cut 4 plates of cardboard on the desired shape, and I draw the different strips and ‘pop corn’. And I cut the last plate which will serve to assemble the pot. Then I paint with my parents the plates. So I have the 4 sides of the pot of pop-corn. 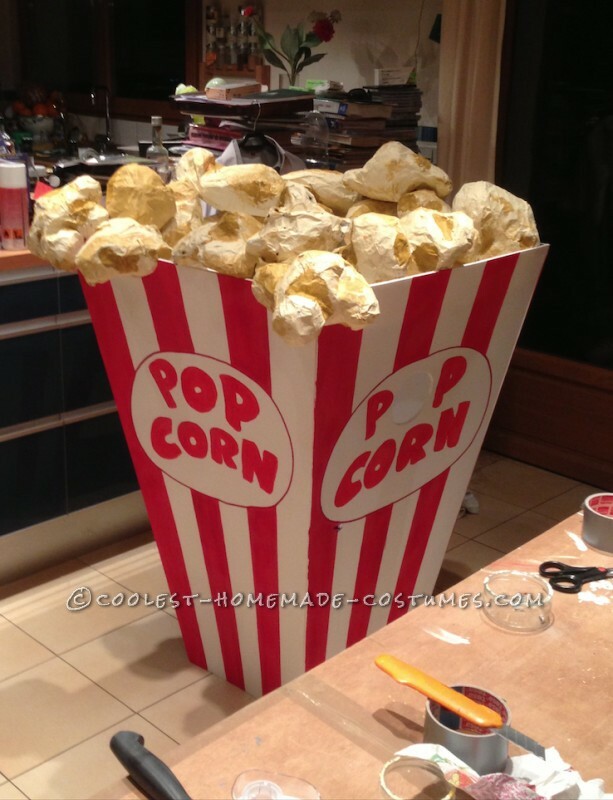 To make the pop-corn, I simply use paper-mache. I guess you know this method so I don’t explain it. The difficulty is to manage to get the perfect shape, but I loved to do that ! In total, I’ve done 19 pop-corns. 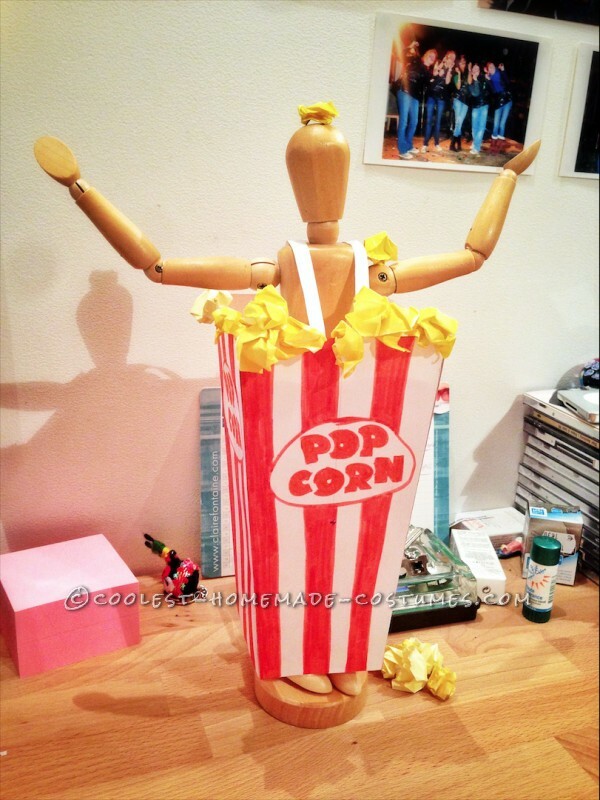 The next day, I paint these pop-corns. 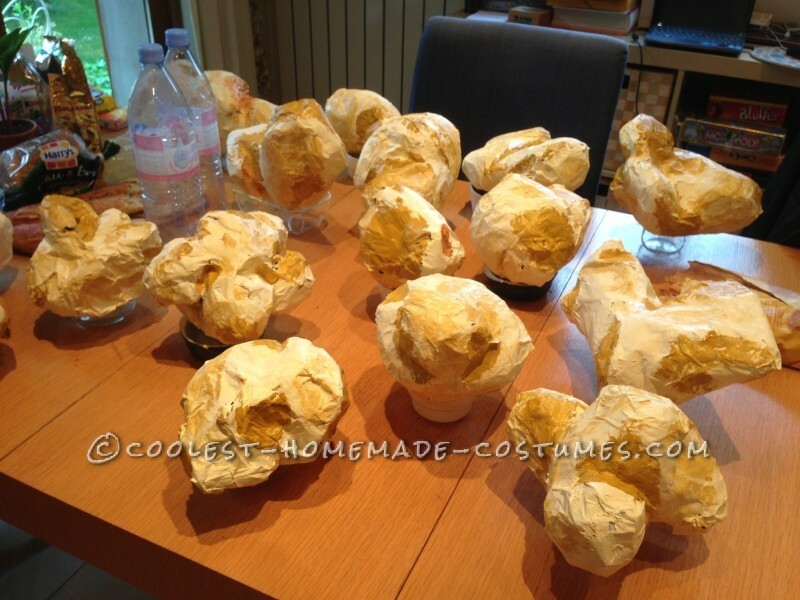 I first paint a sublayer, then I paint them with 3 different colors : a kind of beige, brown, and gold. When all these paintings are dry, I assemble all the units. Just with scotch tape and some glue, it finally looks like the images you can see below. 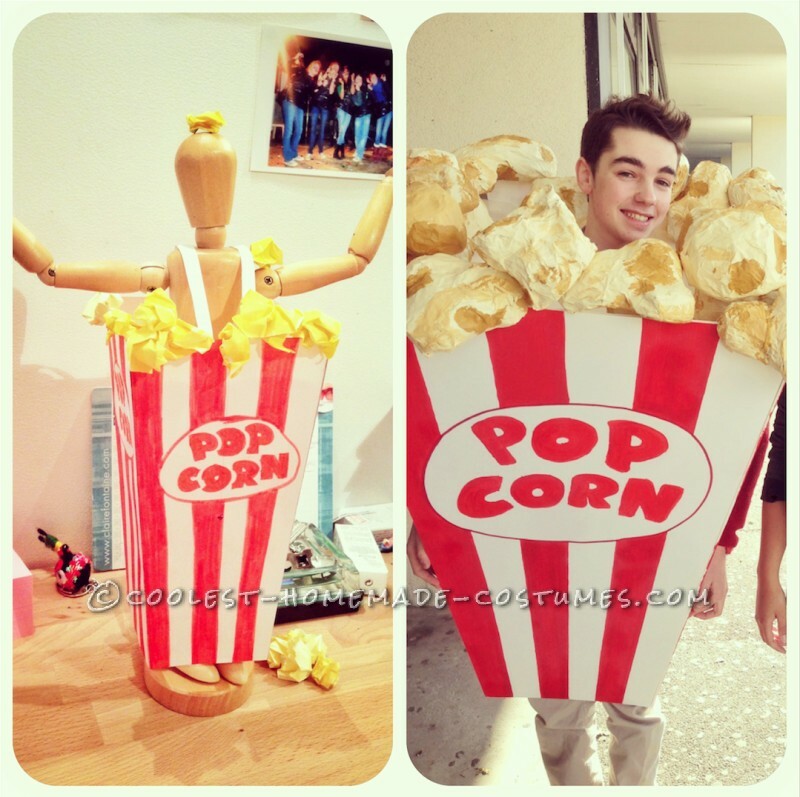 You can see that I cut the \”O\” of \”Pop-Corn\” to pass my arms through it when I wear it. Pot of pop-corn, with pop-corns. Excellent costume and excellent English, too!